'The First Ally' arc continues to unravel a fascinating mystery surrounding Alfred, with its strongest moments coming from delving into the butler's backstory. 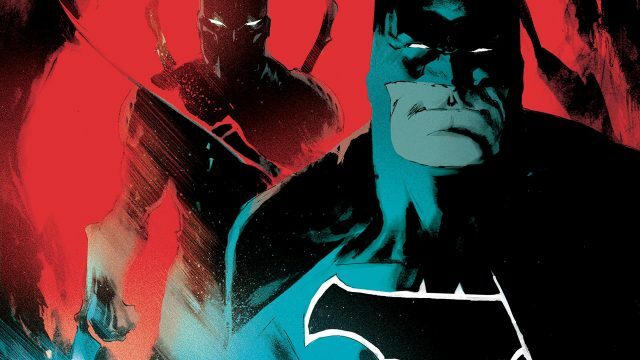 For its first nine issues, Scott Snyder’s All-Star Batman was all about journeying under the surface of some of Batman’s most dangerous foes, exploring what makes them tick and what makes them who they are. 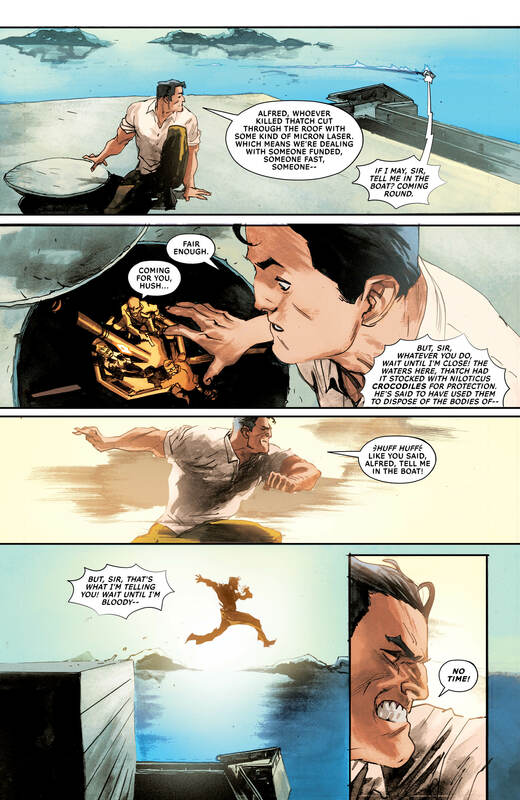 Beginning last issue, the new story arc ‘The First Ally’ is applying this tactic to another character who often doesn’t get explored any deeper than his usual, superficial role: Bruce’s butler Alfred. 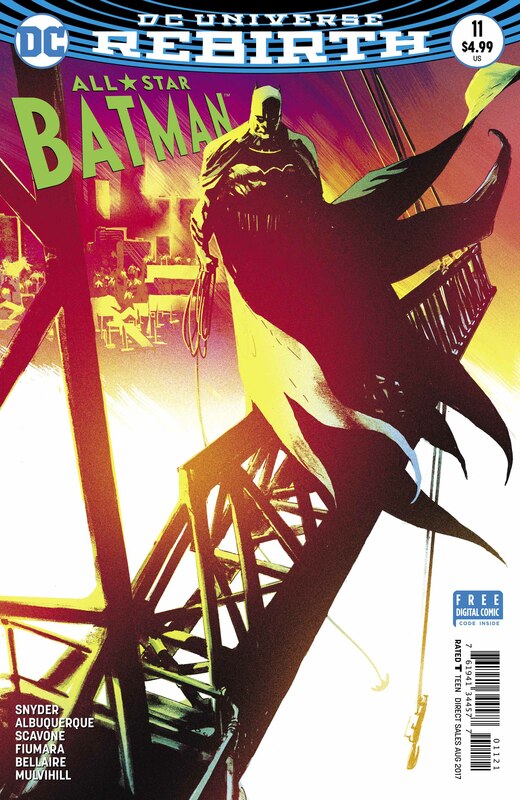 Issue #11 follows on from last time and is likewise split between Alfred’s past and the present, with the two storylines having surprising connections. 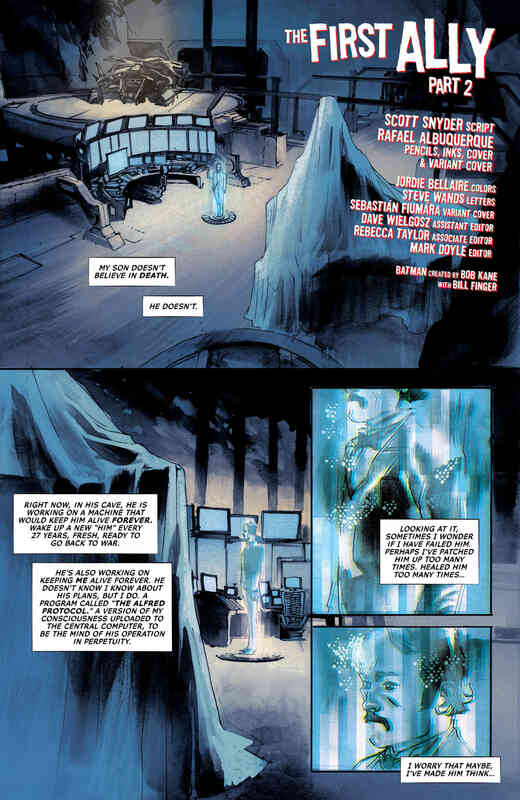 The present-day narrative is the main thrust of the piece, as Batman continues his investigation into the Genesis Engine – a Macguffin that can be used to rewrite human DNA, creating monsters. It’s so dangerous that even old enemies like Penguin, Black Mask and Great White Shark – who turn up for a very funny, but brief, cameo – are willing to help the Dark Knight in order to keep it out of harm’s way. Just as Snyder is a hugely reliable writer, you always know the book is in safe hands when Rafael Albuquerque is doing the artwork. 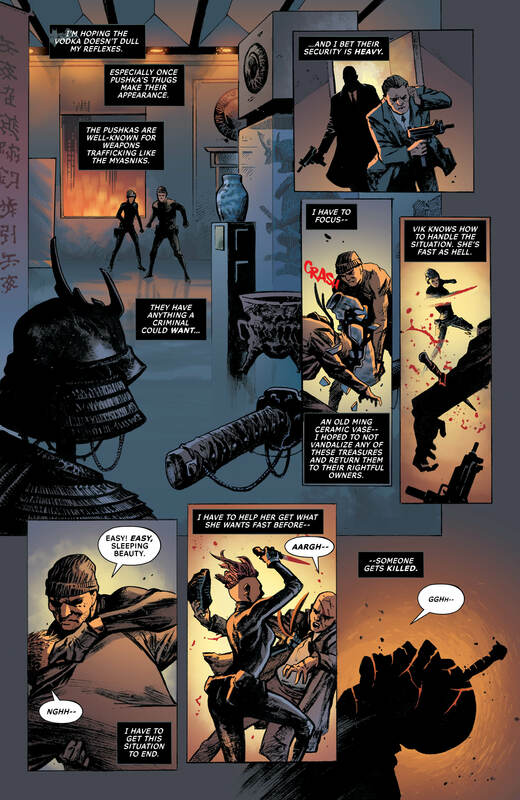 Overall, Batman’s new armoured – and still yet to be named – enemy is currently a little disappointing, as he’s basically just a lackey with not much personality. But in Albuquerque’s gripping fight scenes he makes him a formidable foe for the Dark Knight. 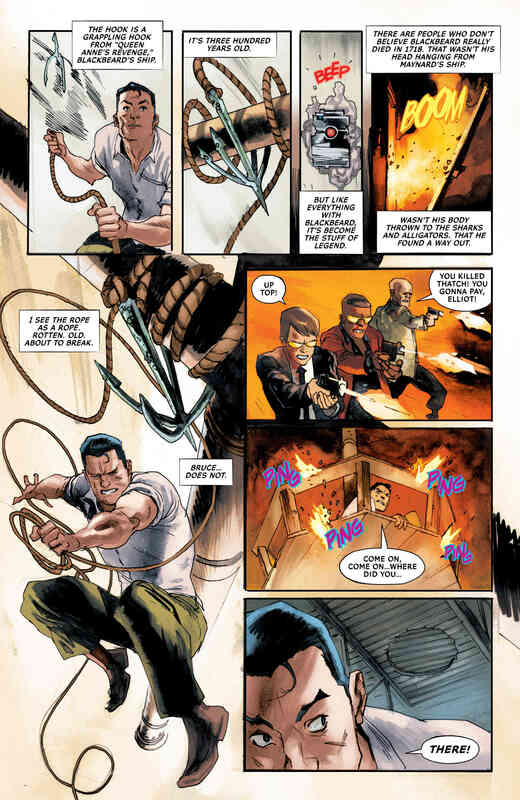 The final few pages, full of sword fights and gun shots and fire, are brilliantly brought to life by the artist and the explosive cliffhanger will have you gasping for more. 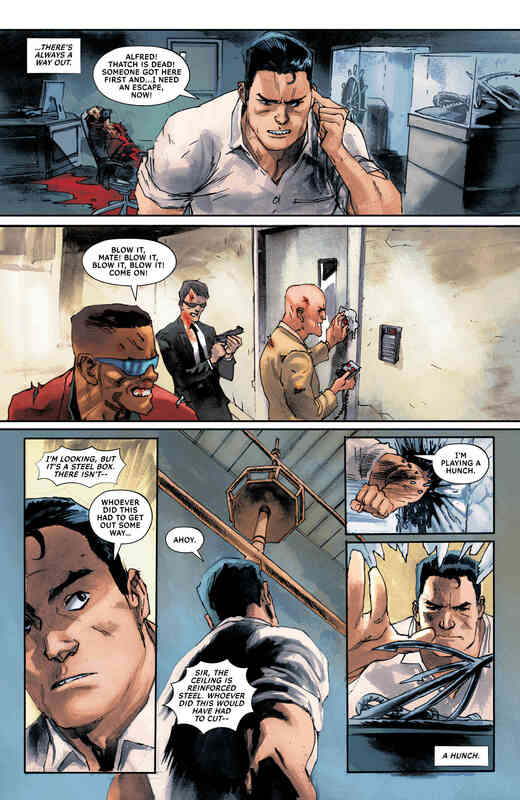 As usual, All-Star Batman #11 also features a B-story, the second part of ‘Killers-In-Law,’ which sees Bruce going undercover in Russia to bring down a powerful crime family. 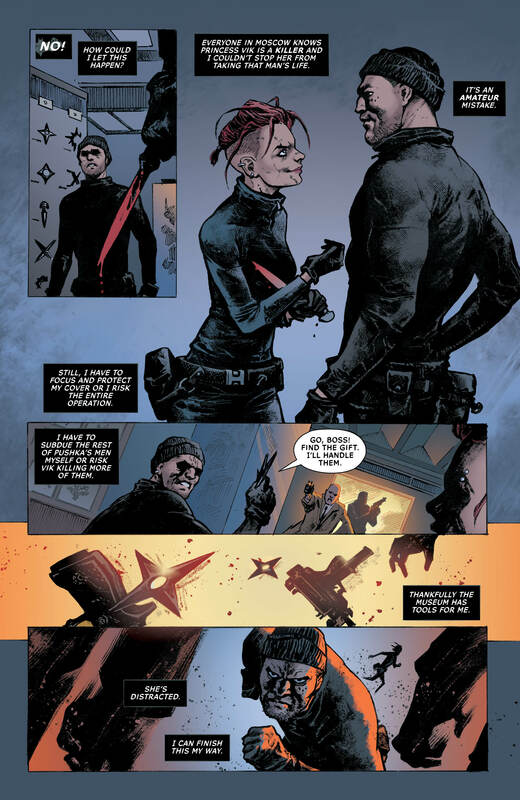 It’s a fast-paced, dark and violent story from Rafael Albuquerque (on writing duties this time) and Rafael Scavone. 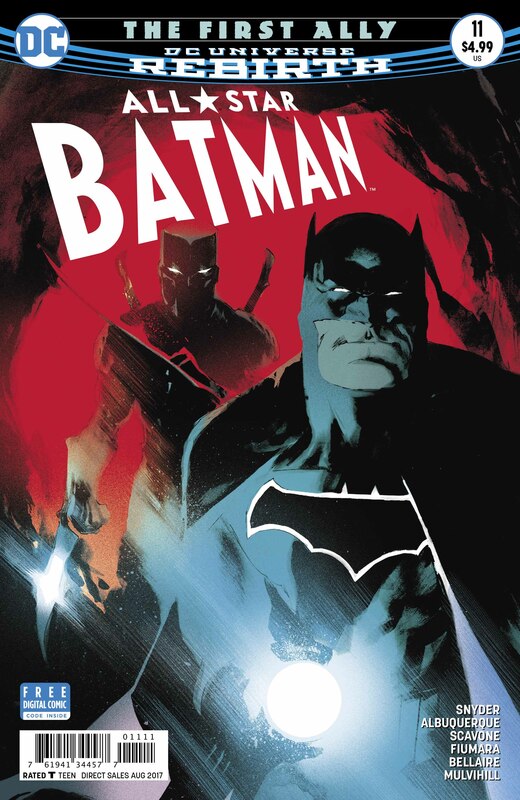 If I’m being honest, it isn’t gripping me as much as the main strip, but this installment does deal with an interesting challenge for Batman: how can he save lives when he’s pretending to be a ruthless criminal? 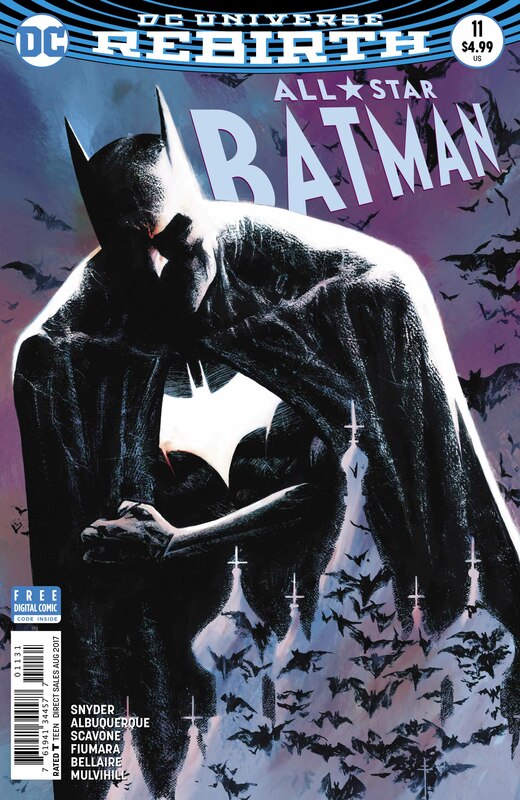 All-Star Batman #11 continues to unravel a fascinating mystery regarding the one man Bruce Wayne thought he could trust above all others. Who is this new enemy on Batman’s tail? 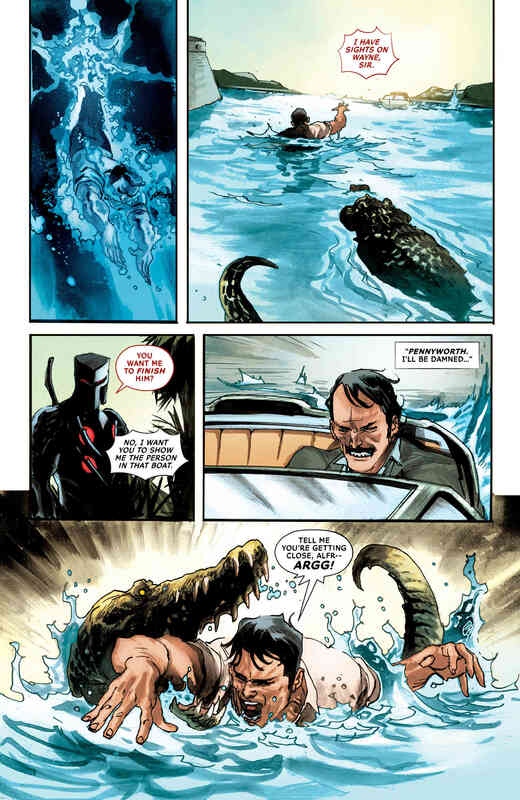 What really happened in Alfred’s past and is he hiding something from Bruce even now? Overall, this issue isn’t quite as strong as last time, but it’s still another high-quality installment of this hugely recommended series. It’s a real shame that we only have a limited number of issues left.